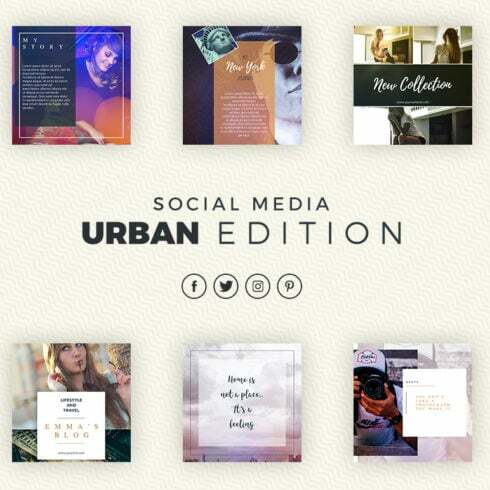 Social Media Pack – Urban edition gives your business a style boost with its chic and elegant look. It is optimized for Instagram, Facebook, Pinterest, Twitter but thanks to square, vertical and horizontal templates you can use it in any social media platform including blogs. What the heck is a graphic bundle? Can an artist draw anything from a blank canvas? Generally, yes. Should he? It is counterproductive, will take too much time. That’s why many of the graphic designers make use of pre-made graphics elements – blend them, adjust them and construct the design . Nobody is going to purchase these elements one at a time, that’s why they are put together into graphic deals and marketed as a singular product. Due to the fact all of the packages are different from one to another, every web designer will discover the appropriate selection for a unique project. Checking them you will find the selections including social media infographics, business cards, illustration swatches, UI kits, and much more. At MasterBundles.com marketplace, there are actually in excess of 450 graphic bundle deals from which to choose. So why are graphic packages cost-effective? The benefits of graphic package deals for designers are quite evident. But if you are new to them and still have doubts, the following information and facts will probably be useful for you. Along with a multitude of the components in a single package, the selection gives you an opportunity to use several of them for various tasks. What’s more, the cost is often cut down tremendously which allows you to save some dollars, yet get the entire set valued for hundreds of dollars. Ways to save a lot more bucks on MasterBundles items? Share this webpage via social websites – you immediately receive the 5% discount for the graphic packages you like. That is a quite simple way of getting an expertly designed tools for a lower price. The packages of stock photos, patterns, logo templates, icons, fonts and textures are available . They give limitless possibilities for the design of different projects. On top of that, you may find the full offers of WP design templates, courses and ebooks, resume templates, ppt slides, and other elements. What are photo tools packages? A different bundle well suited for photo designers is part of photo bundles. On MasterBundles you’ll find a bulk of solutions for photo treatment. When you need PS actions, Lightroom presets, photo overlays, or any other tools for working with photographs, you’ve come to the absolute right place. The watercolor graphics bundle is usually a bundle that contains images and drawings produced with watercolors. They will properly fit for a variety of companies, such as fashion, cosmetics, perfume and food distributors. Business cards or themed wedding invitations may be created using this kind of package deal. Living in the online age, many of us devote practically half of our everyday life within social media networks such as Instagram. It doesn’t matter what objective we attempt to reach by using this network, we wish to stick out in a huge crowd amidst countless identical profiles. 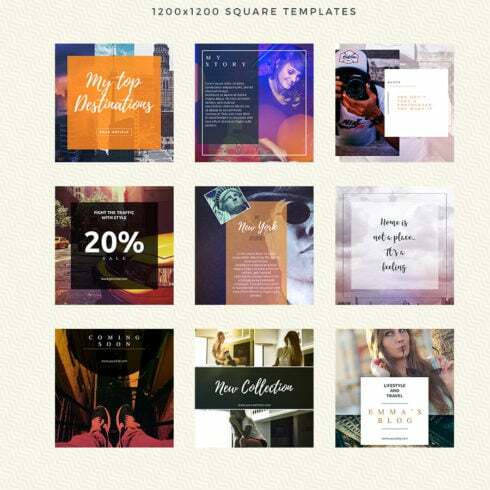 By using premium Instagram templates sold at MasterBundles, you don’t need to devote eternity building the outstanding appearance of your page. One of the packages will definitely help you focus on the visual appearance of your Instagram profile. Content on blogs that come with infographics are much more readable and favored than those that don’t. Infographics tend to be a well known product each and every designer is required to be qualified to build. A package for infographics is most effective because it gives a ready option. The web designer has only to blend the illustrations and there you are! The infographic is ready. MasterBundles.com is a site that gathers offers from over the internet and lets you buy the elements you’ll need in your design work for for less money. Bundles this fabulous website offers are restricted in time, and that is the answer why they are so low-priced. To avoid missing the sale you will be definitely pleased with – join for the weekly email message, revealing the newest deals. MasterBundles.com also has a big blog with the unique design features described.